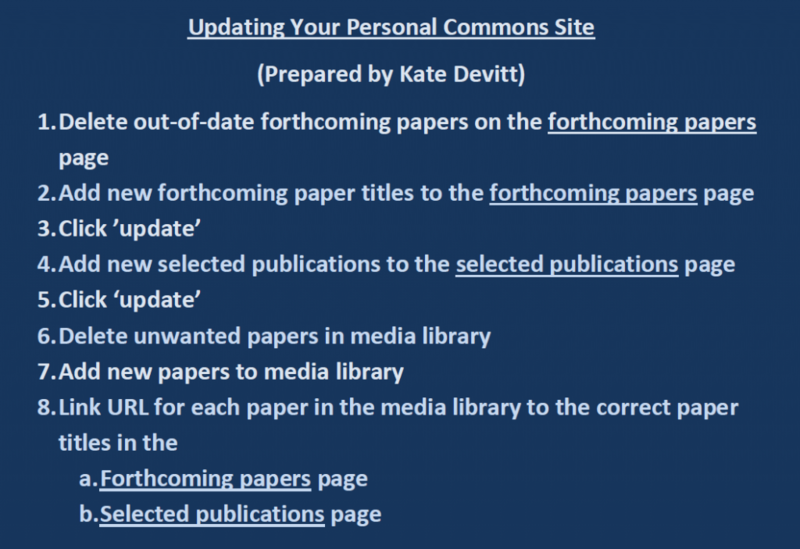 The following are instructions for the process one would go through to update their personal site on the Commons once it has been set up. Anyone with a GC email can create sites on the Commons. If you are interested and want assistance, contact @mjohnson.